• Measuring the transportation needs of seniors, by Rania Wasfi, David Levinson*, Ahmed El-Geneidy [paper in English]. • An hybrid simulation-optimization model for assessing the capacity of a closed-loop rail transport system for bulk agricultural grains, by Pedro Veiga de Camargo, Claudio Barbieri da Cunha* [paper in Portuguese]. • Data envelopment analysis as evaluation mechanisms and performance monitoring program for maintenance of inland waterways, by José Teixeira de Araújo Neto Santos, Poliana Cardoso, Márcia Helena Veleda Moita* [paper in Portuguese]. • Coaches versus planes: determinants of choice between transportation modes, by Jackson Rosalino* [paper in Portuguese]. • Airline efficiency: an analysis based on the Li & Reeves model, by Eliane Ribeiro Pereira, Juliana Quintanilha da Silveira, Maria Cecilia de Carvalho Chaves, João Carlos Correia Baptista Soares de Mello* [paper in Portuguese]. • Analysis of alternatives to increase productivity and quality of airport cargo terminal through computer simulation, by Davi Santos Mendes, Anderson R. Correia*, Luiz Antonio Tozi [paper in Portuguese]. • The quality of Latin American hubs, by Gustavo Lipovich* [paper in Spanish]. • Cobb-Douglas function application for productivity analysis in the airline industry: the case of Gol Airlines, by Ernesto Tiaki Kuroda, Alan Joseph Kalfas, Rogéria de Arantes Gomes Eller* [paper in Portuguese]. • Arc routing using geographic information system for transportation: an application in urban solid waste system, by Renato da Silva Lima*, Josiane Palma Lima, Thiago Vitali De Vito Silva [paper in Portuguese]. 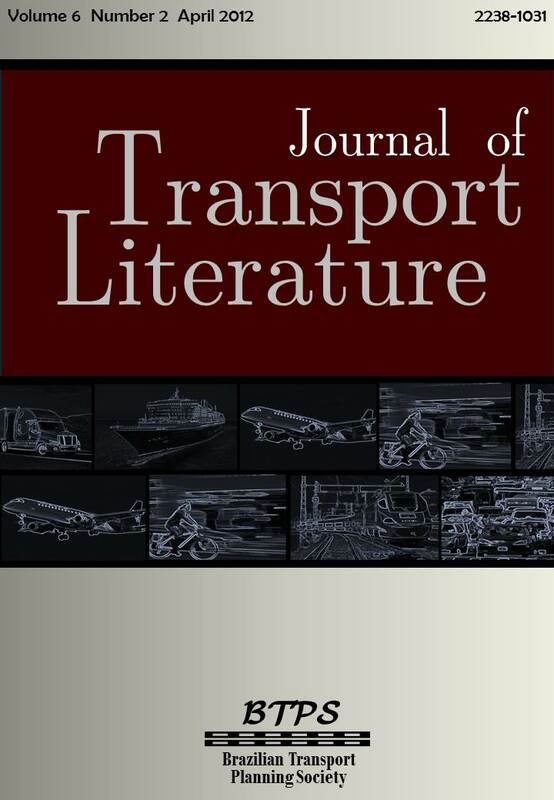 • Applicability of multicriteria analysis to decision problems in road transport of dangerous goods: a theoretical perspective, by Marne Lieggio Junior*, Sérgio Ronaldo Granemann, Osmar Ambrósio de Souza [paper in Portuguese]. • Intermodal competition with high speed rail, by Iara Paiva* [paper in Portuguese]. • Economic measurement of CO2 emission from fleet of Brazilian independent cargo carriers, by Rodrigo Rosa da Silva Cruvinel*, Paulo Victor Hermetério Pinto, Sérgio Ronaldo Granemann [paper in Portuguese]. • Airport congestion: Is there any way out of chaos?, by Thiago Vinicius Alves Ueda* [paper in Portuguese].